Yurtec Stadium Sendai is a football stadium located in the grounds of Nanakita Park in the city of Sendai in the region of Tōhoku. 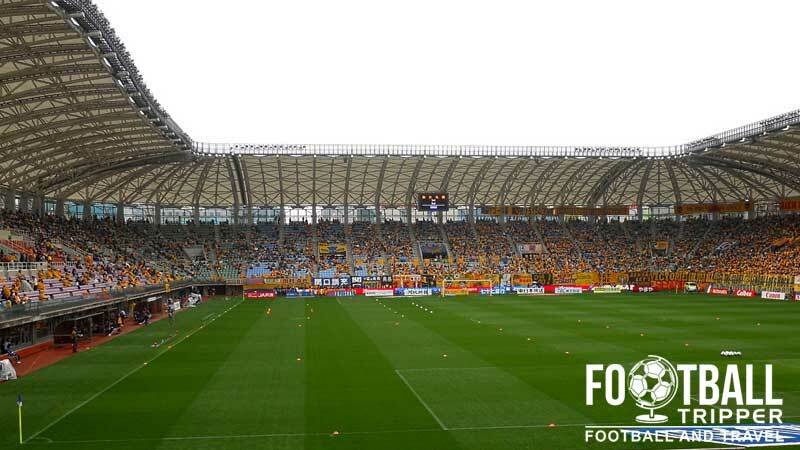 Built in 1996 with a capacity just under 20,000, the arena formerly known as Sendai Stadium is home to J.League division 1 side Vegalta Sendai and their smaller neighbours, Sony Sendai FC. 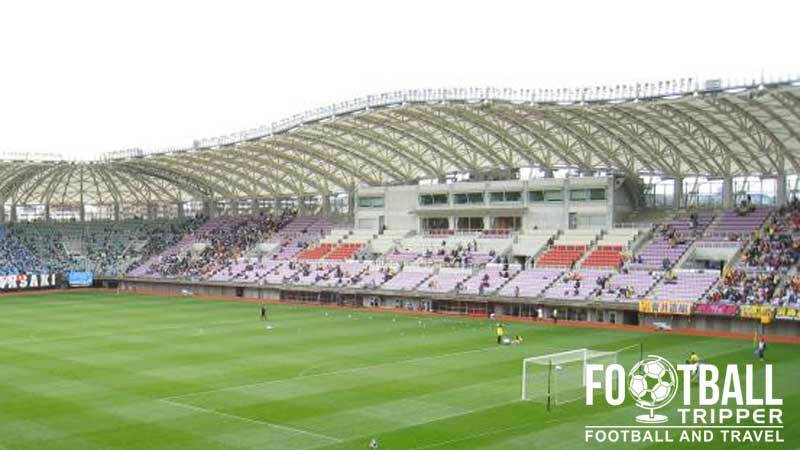 Sendai Stadium first opened on the 1st July 1997 and was inaugurated 11 days late with a match between Turkey and Croatia as part of the the long running Kirin Cup which is an International friendly tournament. Built as a dedicated football ground, the stadium is rectangular in shape and lacks an athletics track around the perimeter of the pitch – much to the delight of the local supporters. With a capacity of 19,694 Yurtec Sendai was too small to be nominated as one of Japan’s ten stadiums for the 2002 World Cup. It was however used by the Italian national team as their training ground during the tournament, and outside of the stadium this piece of history is celebrate with “Azzuri Square” which contains footprints of some of the players. 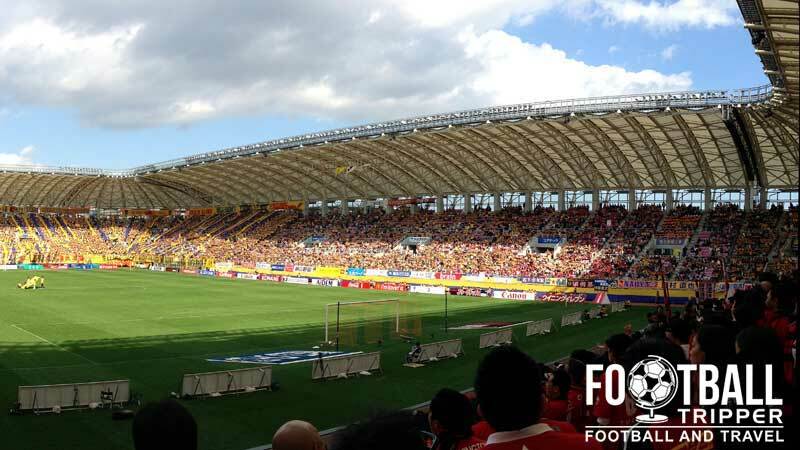 Costing an estimated 13 billion yen, the city of Sendai opted to partially sell the naming rights of the stadium in order to recoup some of their investment. Initially the rights were sold to Yurtec Corp between March 1st 2006 – February 28th 2009, however the deal has since been extended. 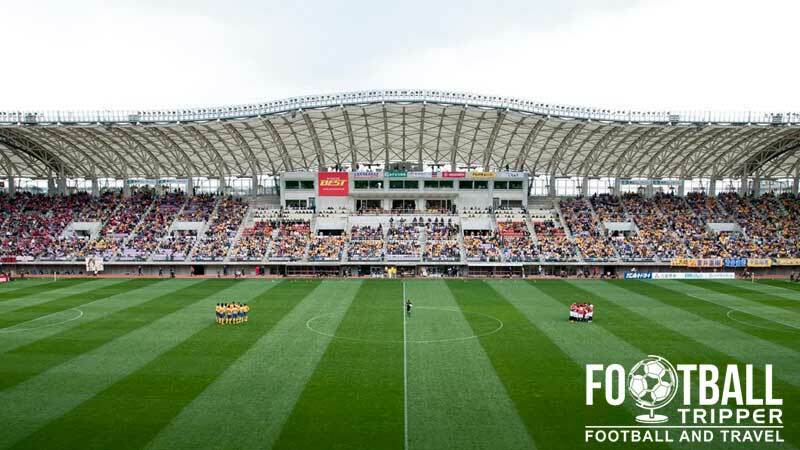 Home to both Vegalta Sendai and their traditionally smaller neighbours Sony Sendai F.C, Yurtec Stadium has hosted many friendly matches over the years against the likes of Italian sides Chievo Verona, and S.S Lazio. As both clubs have played the majority of their football in Japan’s lower leagues, neither has been able to reach the AFC Champions League to date. Yurtec Sendai Stadium was used to host matches of the IRB Pacific Nations Cup, and the game between Japan and Samoa on 16th June 2007 marked the first ever international rugby game to be played in the Tōhoku region. Yurtec Stadium Sendai consists of the following four stands: North, East, South and West.